This large and striking folding screen, is beautifully decorated in a range of vibrant and colourful hardstones, set against a black lacquer background. 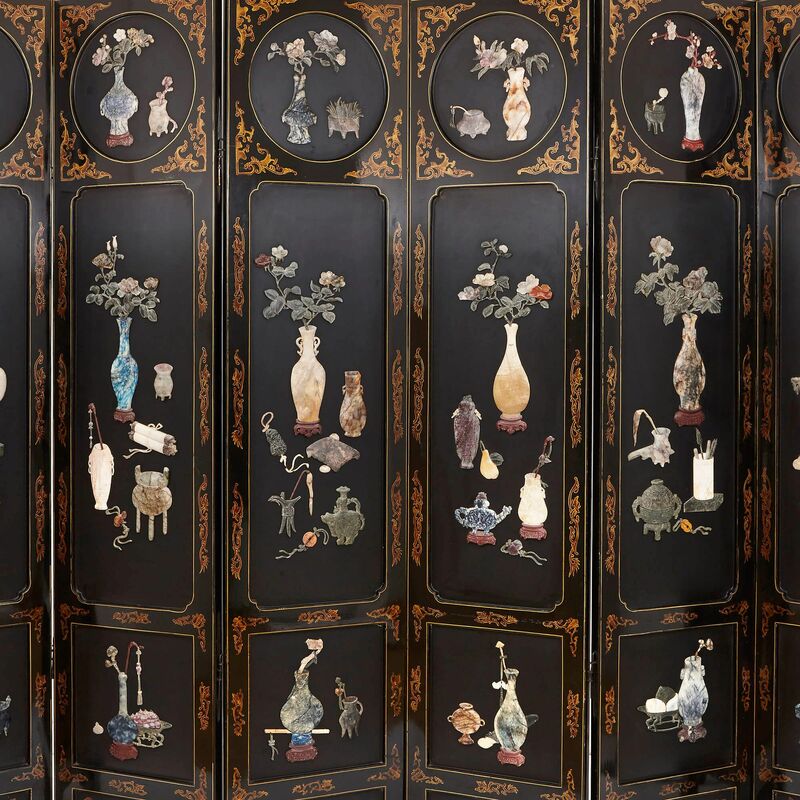 The large and intricately detailed screen is formed of six wooden panels, joined by hinges, so that the screen can fold according to requirements. 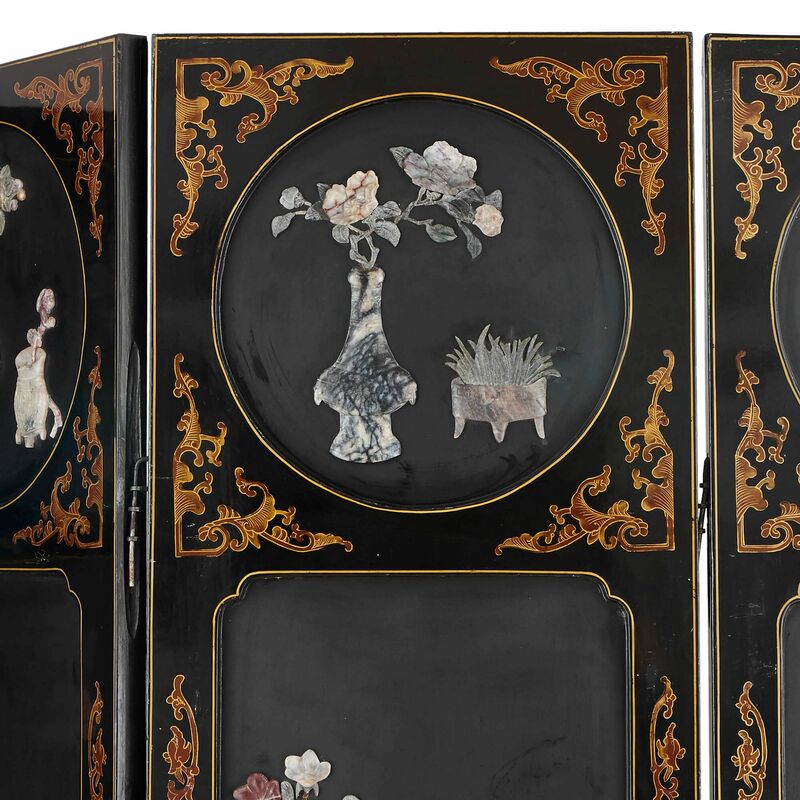 The panels are lacquered to both the front and back, to produce a lustrous, black surface texture. 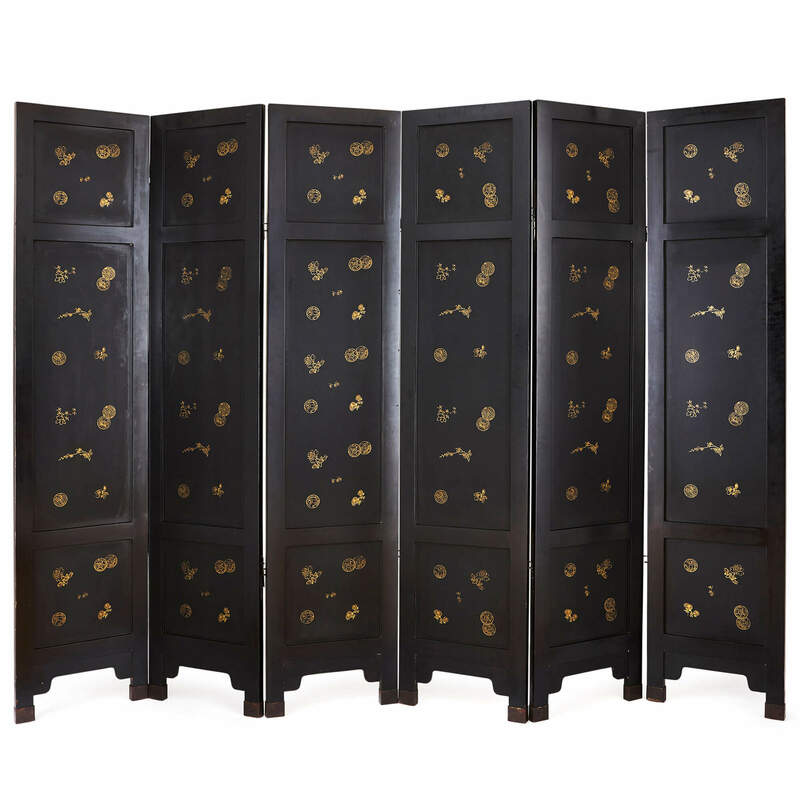 The front panels are each formed in three vertical sections: with a circular section sitting above a tall and slender rectangular section, with a final square-form section at the bottom. 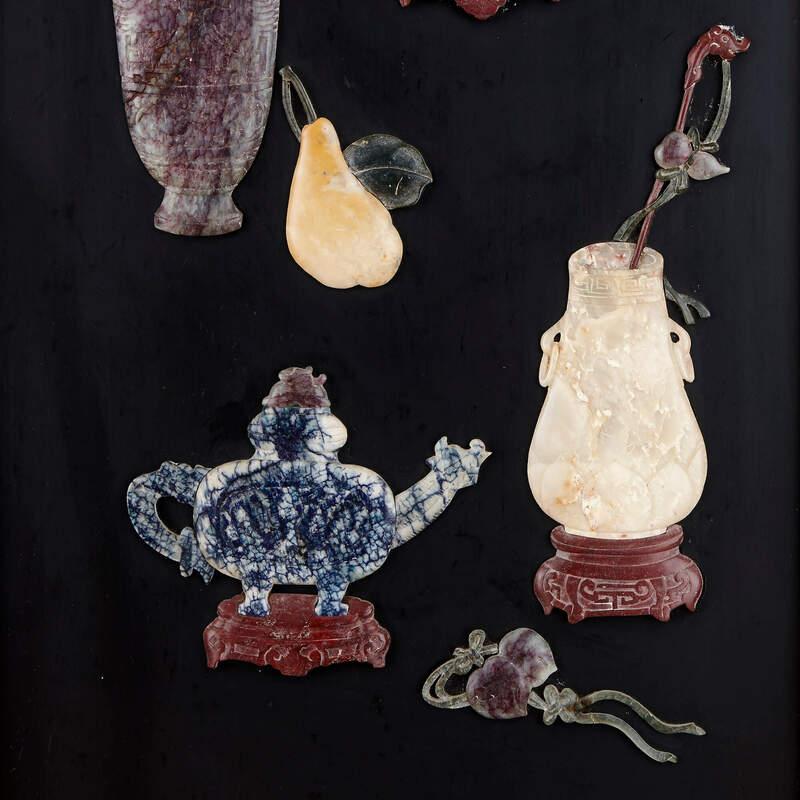 The three sections are decorated in a variety of hardstones, used to depict still life compositions of flowers, vases and other Chinese objects. 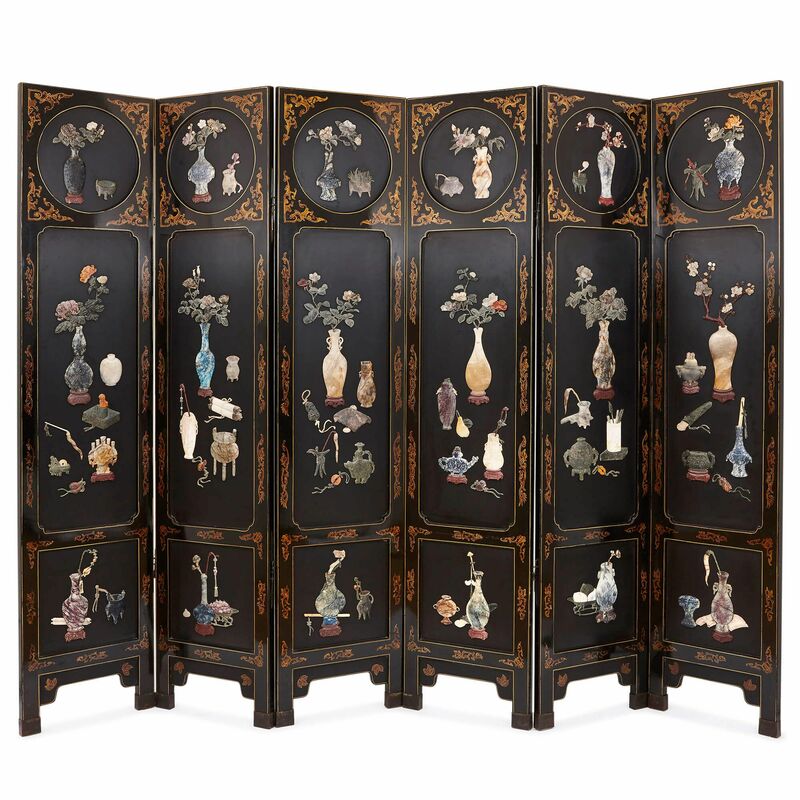 The screen uses a full range of Chinese hardstones, in a variety of colours and tones, lending the piece a tremendous vibrancy. 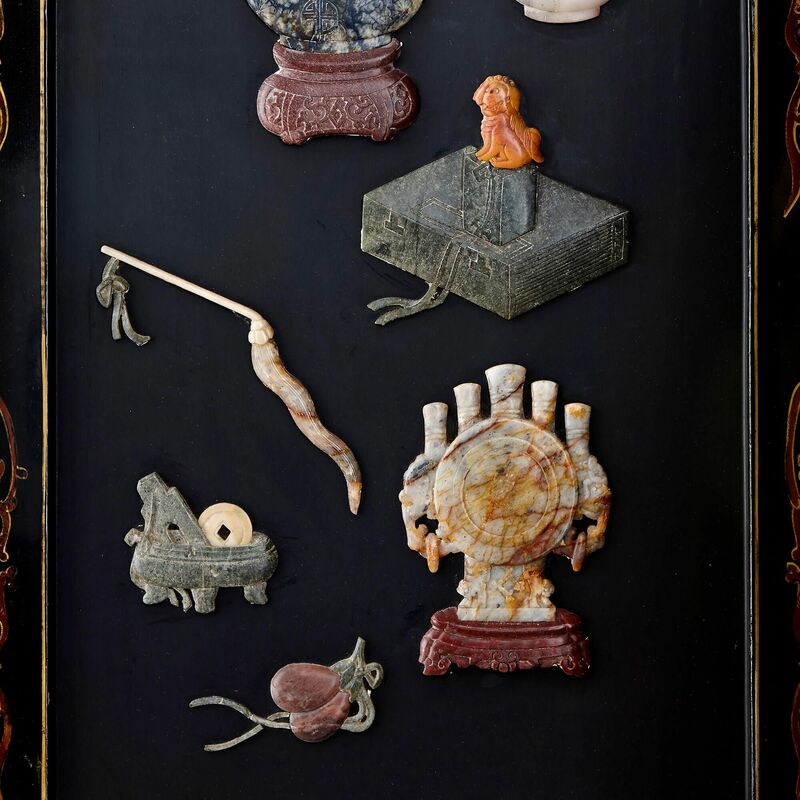 Most of the hardstones used feature delicate pastel shades, and exhibit stunning natural banding habits. The frontal sections are further ornamented with scrolling gilt borders. 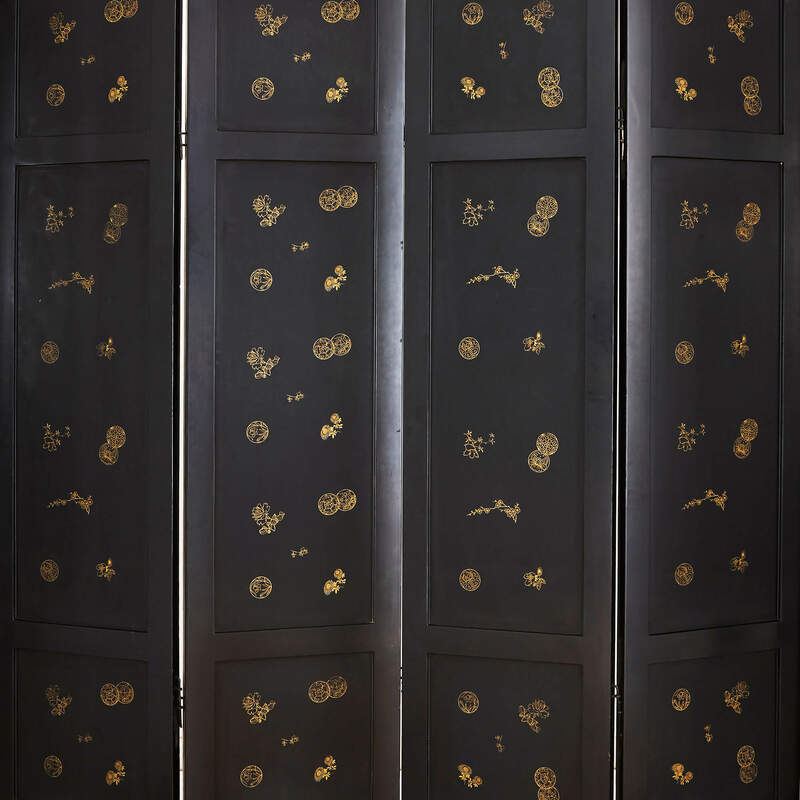 The reverse of the screen is also formed in three sections (with two square form sections either side of the central rectangular section), decorated tastefully with gilt foliate designs and scrolls.